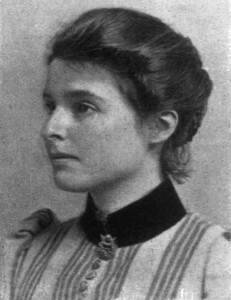 Beatrice Webb was an English social and leading Fabian socialist who, in partnership with her husband Sidney, undertook many projects for social and educational reform. Beatrice was born in Gloucestershire, the daughter of a wealthy businessman and a merchant’s daughter; her grandfather was Richard Potter, the Radical MP for Wigan. In her childhood years Beatrice travelled widely with her parents and received little formal education. Nonetheless Beatrice was an intelligent child and read books on philosophy, science and mathematics. She was very impressed by the work of Herbert Spencer and the cooperative movement. Beatrice devoted her early years to working with the poor and assisted her cousin Charles Booth with his survey of the Victorian slums in London. While working here she realised that charity would not solve their problems and argued that it was the causes of poverty, not it’s symptoms, that needed to be tackled. Her articles on dock workers were published and, as a result, she was invited to testify before the House of Lords. When Beatrice moved to work with the poor in Lancashire she began writing a book on The Co-operative Movement and met Sidney Webb, at that time a leading figure in the Fabian Society. They became close friends and eventually she agreed to marry him. They worked on several books together and, while writing these books, they became convinced of the need to establish a new political party committed to socialism. When a wealthy benefactor left £10,000 to the Fabian Society (equivalent to around £1m today) Beatrice and Sidney suggested that the money should be used to develop a new university in London and The London School of Economics and Political Science (LSE) was founded to teach economics along more socialist lines. Prior to the General Election of 1900 the Fabian Society joined with the Independent Labour Party, the Social Democratic Federation and trade union leaders to form the Labour Representation Committee(LRC) which stood fifteen candidates, two of whom, Keir Hardie and Richard Bell, won seats in the House of Commons. While Beatrice was a socialist, she was worked with any political party in order to get the policies she believed in adopted. After the 1900 General Election she worked with the victorious Conservative government and drafted what became the 1902 Education Act. When the government established a Royal Commission to look into the poor relief laws Beatrice Webb served as a member of the commission but disagreed with most of the other members and, together with Sidney, published a Minority Report which called for an end of the Poor Law, the establishment of a national labour bureau and improvements to education and health. While Prime Minister Asquith chose to act on the report from the majority of the commission, the minority report played an important role in the dismantling of the old Poor Law and in its replacement by the new systems of social insurance. In 1913 Beatrice and Sidney started The New Statesman, a weekly socialist journal that is still published today. During World Wat I Beatrice served on several government committees and continued to write for the Fabian Society. Beatrice died in 1943 and the casket containing her ashes was buried in the garden of her house.Sidney’s ashes were also buried there when he died four years later. George Bernard Shaw launched a petition to have both reburied to Westminster Abbey and now their ashes are interred close to those of Clement Attlee and Ernest Bevin.